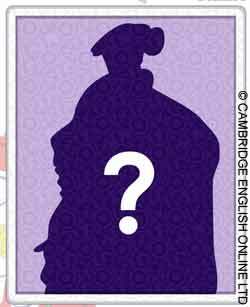 In this interactive game, players must guess the identity of eight famous Tudors, using the nine pieces of biographical information (or clues) given. Reading each clue gradually reveals a picture of the mystery Tudor. The challenge is to guess the person’s identity using as few clues as possible and without revealing the complete picture. The game can be played individually, as a whole class or small group. Children will enjoy the game most if they have read a selection of different reference materials on the Tudors and know some background information on Tudor times.